"Aesthetic" redirects here. For the 19th century art movement, see Aestheticism. For the cosmetology term, see Cosmetology § Esthetician. For the music genre, see Vaporwave. Aesthetics (/ɛsˈθɛtɪks, iːs-, æs-/) is a branch of philosophy that deals with the nature of art, beauty and taste and with the creation or appreciation of beauty. In its more technical epistemological perspective, it is defined as the study of subjective and sensori-emotional values, or sometimes called judgments of sentiment and taste. Aesthetics studies how artists imagine, create and perform works of art; how people use, enjoy, and criticize art; and what happens in their minds when they look at paintings, listen to music, or read poetry, and understand what they see and hear. It also studies how they feel about art—why they like some works and not others, and how art can affect their moods, beliefs, and attitude toward life. The phrase was coined in English in the 18th century. More broadly, scholars in the field define aesthetics as "critical reflection on art, culture and nature". In modern English, the term aesthetic can also refer to a set of principles underlying the works of a particular art movement or theory: one speaks, for example, of the Cubist aesthetic. The word aesthetic is derived from the Greek αἰσθητικός (aisthetikos, meaning "esthetic, sensitive, sentient, pertaining to sense perception"), which in turn was derived from αἰσθάνομαι (aisthanomai, meaning "I perceive, feel, sense" and related to αἴσθησις (aisthēsis, "sensation"). Aesthetics in this central sense has been said to start with the series of articles on “The Pleasures of the Imagination” which the journalist Joseph Addison wrote in the early issues of the magazine The Spectator in 1712. The term "aesthetics" was appropriated and coined with new meaning by the German philosopher Alexander Baumgarten in his dissertation Meditationes philosophicae de nonnullis ad poema pertinentibus ("Philosophical considerations of some matters pertaining the poem") in 1735; Baumgarten chose "aesthetics" because he wished to emphasize the experience of art as a means of knowing. Aesthetics, a not very tidy intellectual discipline, is a heterogeneous collection of problems that concern the arts primarily but also relate to nature. even though his later definition in the fragment Aesthetica (1750) is more often referred to as the first definition of modern aesthetics. Some separate aesthetics and philosophy of art, claiming that the former is the study of beauty while the latter is the study of works of art. However, most commonly Aesthetics encompasses both questions around beauty as well as questions about art. It examines topics such as aesthetic objects, aesthetic experience, and aesthetic judgments. For some, aesthetics is considered a synonym for the philosophy of art since Hegel, while others insist that there is a significant distinction between these closely related fields. In practice, aesthetic judgement refers to the sensory contemplation or appreciation of an object (not necessarily an art object), while artistic judgement refers to the recognition, appreciation or criticism of art or an art work. Philosophical aesthetics has not only to speak about art and to produce judgments about art works, but also has to give a definition of what art is. Art is an autonomous entity for philosophy, because art deals with the senses (i.e. the etymology of aesthetics) and art is as such free of any moral or political purpose. Hence, there are two different conceptions of art in aesthetics: art as knowledge or art as action, but aesthetics is neither epistemology nor ethics. Aestheticians compare historical developments with theoretical approaches to the arts of many periods. They study the varieties of art in relation to their physical, social, and culture environments. Aestheticians also use psychology to understand how people see, hear, imagine, think, learn, and act in relation to the materials and problems of art. Aesthetic psychology studies the creative process and the aesthetic experience. Aesthetics examines our affective domain response to an object or phenomenon Judgments of aesthetic value rely on our ability to discriminate at a sensory level. However, aesthetic judgments usually go beyond sensory discrimination. For David Hume, delicacy of taste is not merely "the ability to detect all the ingredients in a composition", but also our sensitivity "to pains as well as pleasures, which escape the rest of mankind." Thus, the sensory discrimination is linked to capacity for pleasure. For Immanuel Kant (Critique of Judgment, 1790), "enjoyment" is the result when pleasure arises from sensation, but judging something to be "beautiful" has a third requirement: sensation must give rise to pleasure by engaging our capacities of reflective contemplation. Judgments of beauty are sensory, emotional and intellectual all at once. Kant (1790) observed of a man "If he says that canary wine is agreeable he is quite content if someone else corrects his terms and reminds him to say instead: It is agreeable to me," because "Everyone has his own (sense of) taste". The case of "beauty" is different from mere "agreeableness" because, "If he proclaims something to be beautiful, then he requires the same liking from others; he then judges not just for himself but for everyone, and speaks of beauty as if it were a property of things." Roger Scruton has argued similarly. Viewer interpretations of beauty may on occasion be observed to possess two concepts of value: aesthetics and taste. Aesthetics is the philosophical notion of beauty. Taste is a result of an education process and awareness of elite cultural values learned through exposure to mass culture. Bourdieu examined how the elite in society define the aesthetic values like taste and how varying levels of exposure to these values can result in variations by class, cultural background, and education. According to Kant, beauty is subjective and universal; thus certain things are beautiful to everyone. In the opinion of Władysław Tatarkiewicz, there are six conditions for the presentation of art: beauty, form, representation, reproduction of reality, artistic expression and innovation. However, one may not be able to pin down these qualities in a work of art. Judgments of aesthetical values seem often to involve many other kinds of issues as well. Responses such as disgust show that sensory detection is linked in instinctual ways to facial expressions, and even behaviours like the gag reflex. Yet disgust can often be a learned or cultural issue too; as Darwin pointed out, seeing a stripe of soup in a man's beard is disgusting even though neither soup nor beards are themselves disgusting. Aesthetic judgments may be linked to emotions or, like emotions, partially embodied in our physical reactions. For example, the awe inspired by a sublime landscape might physically manifest with an increased heart-rate or pupil dilation; physiological reaction may express or even cause the initial awe. As seen, emotions are conformed to 'cultural' reactions, therefore aesthetics is always characterized by 'regional responses', as Francis Grose was the first to affirm in his ‘Rules for Drawing Caricaturas: With an Essay on Comic Painting’ (1788), published in W. Hogarth, The Analysis of Beauty, Bagster, London s.d. (1791? ), pp. 1–24. Grose can therefore be claimed to be the first critical 'aesthetic regionalist' in proclaiming the anti-universality of aesthetics in contrast to the perilous and always resurgent dictatorship of beauty. Aesthetic judgments can often be very fine-grained and internally contradictory. Likewise aesthetic judgments seem often to be at least partly intellectual and interpretative. It is what a thing means or symbolizes for us that is often what we are judging. Modern aestheticians have asserted that will and desire were almost dormant in aesthetic experience, yet preference and choice have seemed important aesthetics to some 20th-century thinkers. The point is already made by Hume, but see Mary Mothersill, "Beauty and the Critic's Judgment", in The Blackwell Guide to Aesthetics, 2004. Thus aesthetic judgments might be seen to be based on the senses, emotions, intellectual opinions, will, desires, culture, preferences, values, subconscious behaviour, conscious decision, training, instinct, sociological institutions, or some complex combination of these, depending on exactly which theory one employs. A third major topic in the study of aesthetic judgments is how they are unified across art forms. For instance, the source of a painting's beauty has a different character to that of beautiful music, suggesting their aesthetics differ in kind. The distinct inability of language to express aesthetic judgment and the role of Social construction further cloud this issue. Nonutilitarian pleasure. People enjoy art for art's sake, and do not demand that it keep them warm or put food on the table. Artists such as Thomas Hirschhorn have indicated that there are too many exceptions to Dutton's categories. For example, Hirschhorn's installations deliberately eschew technical virtuosity. People can appreciate a Renaissance Madonna for aesthetic reasons, but such objects often had (and sometimes still have) specific devotional functions. 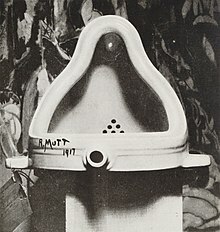 "Rules of composition" that might be read into Duchamp's Fountain or John Cage's 4′33″ do not locate the works in a recognizable style (or certainly not a style recognizable at the time of the works' realization). Moreover, some of Dutton's categories seem too broad: a physicist might entertain hypothetical worlds in his/her imagination in the course of formulating a theory. Another problem is that Dutton's categories seek to universalize traditional European notions of aesthetics and art forgetting that, as André Malraux and others have pointed out, there have been large numbers of cultures in which such ideas (including the idea "art" itself) were non-existent. Aesthetic ethics refers to the idea that human conduct and behaviour ought to be governed by that which is beautiful and attractive. John Dewey has pointed out that the unity of aesthetics and ethics is in fact reflected in our understanding of behaviour being "fair"—the word having a double meaning of attractive and morally acceptable. More recently, James Page has suggested that aesthetic ethics might be taken to form a philosophical rationale for peace education. In another essay, "The Affective Fallacy," which served as a kind of sister essay to "The Intentional Fallacy" Wimsatt and Beardsley also discounted the reader's personal/emotional reaction to a literary work as a valid means of analyzing a text. This fallacy would later be repudiated by theorists from the reader-response school of literary theory. One of the leading theorists from this school, Stanley Fish, was himself trained by New Critics. Fish criticizes Wimsatt and Beardsley in his essay "Literature in the Reader" (1970). As summarized by Berys Gaut and Livingston in their essay "The Creation of Art": "Structuralist and post-structuralists theorists and critics were sharply critical of many aspects of New Criticism, beginning with the emphasis on aesthetic appreciation and the so-called autonomy of art, but they reiterated the attack on biographical criticisms' assumption that the artist's activities and experience were a privileged critical topic." These authors contend that: "Anti-intentionalists, such as formalists, hold that the intentions involved in the making of art are irrelevant or peripheral to correctly interpreting art. So details of the act of creating a work, though possibly of interest in themselves, have no bearing on the correct interpretation of the work." A large number of derivative forms of aesthetics have developed as contemporary and transitory forms of inquiry associated with the field of aesthetics which include the post-modern, psychoanalytic, scientific, and mathematical among others. Croce suggested that "expression" is central in the way that beauty was once thought to be central. George Dickie suggested that the sociological institutions of the art world were the glue binding art and sensibility into unities. Marshall McLuhan suggested that art always functions as a "counter-environment" designed to make visible what is usually invisible about a society. Theodor Adorno felt that aesthetics could not proceed without confronting the role of the culture industry in the commodification of art and aesthetic experience. Hal Foster attempted to portray the reaction against beauty and Modernist art in The Anti-Aesthetic: Essays on Postmodern Culture. Arthur Danto has described this reaction as "kalliphobia" (after the Greek word for beauty, κάλλος kallos). André Malraux explains that the notion of beauty was connected to a particular conception of art that arose with the Renaissance and was still dominant in the eighteenth century (but was supplanted later). The discipline of aesthetics, which originated in the eighteenth century, mistook this transient state of affairs for a revelation of the permanent nature of art. Brian Massumi suggests to reconsider beauty following the aesthetical thought in the philosophy of Deleuze and Guattari. Walter Benjamin echoed Malraux in believing aesthetics was a comparatively recent invention, a view proven wrong in the late 1970s, when Abraham Moles and Frieder Nake analyzed links between beauty, information processing, and information theory. Denis Dutton in "The Art Instinct" also proposed that an aesthetic sense was a vital evolutionary factor. British philosopher and theorist of conceptual art aesthetics, Peter Osborne, makes the point that "'post-conceptual art' aesthetic does not concern a particular type of contemporary art so much as the historical-ontological condition for the production of contemporary art in general ...". Osborne noted that contemporary art is 'post-conceptual' in a public lecture delivered in 2010. The field of experimental aesthetics was founded by Gustav Theodor Fechner in the 19th century. Experimental aesthetics in these times had been characterized by a subject-based, inductive approach. The analysis of individual experience and behaviour based on experimental methods is a central part of experimental aesthetics. In particular, the perception of works of art, music, or modern items such as websites or other IT products is studied. Experimental aesthetics is strongly oriented towards the natural sciences. Modern approaches mostly come from the fields of cognitive psychology or neuroscience (neuroaesthetics). In the 1990s, Jürgen Schmidhuber described an algorithmic theory of beauty which takes the subjectivity of the observer into account and postulates: among several observations classified as comparable by a given subjective observer, the aesthetically most pleasing one is the one with the shortest description, given the observer's previous knowledge and his particular method for encoding the data. This is closely related to the principles of algorithmic information theory and minimum description length. One of his examples: mathematicians enjoy simple proofs with a short description in their formal language. Another very concrete example describes an aesthetically pleasing human face whose proportions can be described by very few bits of information, drawing inspiration from less detailed 15th century proportion studies by Leonardo da Vinci and Albrecht Dürer. Schmidhuber's theory explicitly distinguishes between what's beautiful and what's interesting, stating that interestingness corresponds to the first derivative of subjectively perceived beauty. 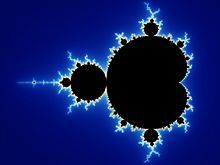 Here the premise is that any observer continually tries to improve the predictability and compressibility of the observations by discovering regularities such as repetitions and symmetries and fractal self-similarity. Whenever the observer's learning process (which may be a predictive artificial neural network; see also Neuroesthetics) leads to improved data compression such that the observation sequence can be described by fewer bits than before, the temporary interestingness of the data corresponds to the number of saved bits. This compression progress is proportional to the observer's internal reward, also called curiosity reward. A reinforcement learning algorithm is used to maximize future expected reward by learning to execute action sequences that cause additional interesting input data with yet unknown but learnable predictability or regularity. The principles can be implemented on artificial agents which then exhibit a form of artificial curiosity. In 1928, the mathematician George David Birkhoff created an aesthetic measure M = O/C as the ratio of order to complexity. There have also been relatively successful attempts with regard to chess[further explanation needed] and music. A relation between Max Bense's mathematical formulation of aesthetics in terms of "redundancy" and "complexity" and theories of musical anticipation was offered using the notion of Information Rate. Evolutionary aesthetics refers to evolutionary psychology theories in which the basic aesthetic preferences of Homo sapiens are argued to have evolved in order to enhance survival and reproductive success. One example being that humans are argued to find beautiful and prefer landscapes which were good habitats in the ancestral environment. Another example is that body symmetry and proportion are important aspects of physical attractiveness which may be due to this indicating good health during body growth. Evolutionary explanations for aesthetical preferences are important parts of evolutionary musicology, Darwinian literary studies, and the study of the evolution of emotion. As well as being applied to art, aesthetics can also be applied to cultural objects, such as crosses or tools. For example, aesthetic coupling between art-objects and medical topics was made by speakers working for the US Information Agency Art slides were linked to slides of pharmacological data, which improved attention and retention by simultaneous activation of intuitive right brain with rational left. It can also be used in topics as diverse as mathematics, gastronomy, fashion and website design. The philosophy of aesthetics as a practice has been criticized by some sociologists and writers of art and society. Raymond Williams, for example, argues that there is no unique and or individual aesthetic object which can be extrapolated from the art world, but rather that there is a continuum of cultural forms and experience of which ordinary speech and experiences may signal as art. By "art" we may frame several artistic "works" or "creations" as so though this reference remains within the institution or special event which creates it and this leaves some works or other possible "art" outside of the frame work, or other interpretations such as other phenomenon which may not be considered as "art". Timothy Laurie argues that theories of musical aesthetics "framed entirely in terms of appreciation, contemplation or reflection risk idealizing an implausibly unmotivated listener defined solely through musical objects, rather than seeing them as a person for whom complex intentions and motivations produce variable attractions to cultural objects and practices". ^ Zangwill, Nick. "Aesthetic Judgment", Stanford Encyclopedia of Philosophy, 02-28-2003/10-22-2007. Retrieved 07-24-2008. ^ Riedel, Tom (Fall 1999). "Review of Encyclopedia of Aesthetics 4 vol. Michael Kelly". Art Documentation: Journal of the Art Libraries Society of North America. 18 (2): 48. doi:10.1086/adx.18.2.27949030. ^ "aesthetic – Definition of aesthetic in English by Oxford Dictionaries". Oxford Dictionaries - English. Retrieved 22 October 2017. ^ Harper, Douglas. "aesthetic". Online Etymology Dictionary. ^ Guyer, Paul (2005). Values of Beauty: Historical Essays in Aesthetics. Cambridge University Press. ISBN 978-0-521-60669-1. ^ T. Dickie, George (1993), Letta Cole, Barbara; et al. (eds. ), "aesthetics", Encyclopedia Americana, Danbury: Grolier, 1, p. 234 . ^ Wilson, N (31 October 2013), Encyclopedia of Ancient Greece, Routledge, p. 20, ISBN 978-1-136-78800-0, retrieved 12 May 2015 . ^ Annemarie Gethmann-Siefert, Introduction to Aesthetics (Einführung in die Ästhetik), Munich, Wilhelm Fink, 1995, p. 7. ^ Thomas Munro, "aesthetics", The World Book Encyclopedia, Vol. 1, ed. A. Richard Harmet, et. al., (Chicago: Merchandise Mart Plaza, 1986), p. 81. ^ David Hume, Essays Moral, Political, Literary, Indianapolis: Literary Fund, 1987. ^ Zangwill, Nick (26 August 2014). Zalta, Edward N. (ed.). "Aesthetic Judgment". The Stanford Encyclopedia of Philosophy. Metaphysics Research Lab, Stanford University. ^ Tatarkiewicz, Władysław (1980). A History of Six Ideas: an essay in aesthetics. PWN/Polish Scientific Publishers. ^ Bezrucka, Yvonne (2017). The Invention of Northern Aesthetics in 18th-Century English Literature. ^ Korsmeyer, Carolyn, ed. (1998). Aesthetics: The Big Questions. Wiley-Blackwell. ISBN 978-0-631-20594-4. ^ Consider Clement Greenberg's arguments in "On Modernist Painting" (1961), reprinted in Aesthetics: A Reader in Philosophy of Arts. ^ Dewey, John. (1932)'Ethics', with James Tufts. In: The Collected Works of John Dewey, 1882–1953 Edited Jo-Ann Boydston: Carbonsdale: Southern Illinois University Press. p. 275. ^ S., Page, James (2017). Peace Education : Exploring Ethical and Philosophical Foundations. eprints.qut.edu.au. ISBN 978-1-59311-889-1. Retrieved 22 October 2017. ^ Leitch, Vincent B., et al., eds. The Norton Anthology of Theory and Criticism. New York: W.W. Norton & Company, 2001. ^ Gaut, Berys; Livingston, Paisley (2003). The Creation of Art. Cambridge University Press. p. 3. ISBN 978-0-521-81234-4. ^ Green, Edward (2005). "Donald Francis Tovey, Aesthetic Realism and the Need for a Philosophic Musicology". International Review of the Aesthetics and Sociology of Music. 36 (2): 227–248. JSTOR 30032170. ^ Siegel, Eli (1955). "Is Beauty the Making One of Opposites?". The Journal of Aesthetics and Art Criticism. 14 (2): 282–283. JSTOR 425879. ^ King, Alexandra. "The Aesthetic Attitude". Internet Encyclopedia of Philosophy. ^ Grosswiler, Paul (2010). Transforming McLuhan: Cultural, Critical, and Postmodern Perspectives. Peter Lang Publishing. p. 13. ISBN 978-1-4331-1067-2. Retrieved 10 March 2015. ^ Lyotard, Jean-Françoise, What is Postmodernism?, in The Postmodern Condition, Minnesota and Manchester, 1984. ^ Lyotard, Jean-Françoise, Scriptures: Diffracted Traces, in Theory, Culture and Society, Volume 21, Number 1, 2004. ^ Lacan, Jacques, "The Ethics of Psychoanalysis" (The Seminar of Jacques Lacan Book VII), NY: W.W. Norton & Company, 1992. ^ Martindale, C. (2007), Recent trends in the psychological study of aesthetics, creativity, and the arts. In Empirical Studies of the Arts, 25(2), p. 121–141. ^ Schmidhuber, Jürgen (22 October 1997). "Low-Complexity Art". Leonardo. 30 (2): 97–103. doi:10.2307/1576418. JSTOR 1576418. ^ "Theory of Beauty – Facial Attractiveness – Low-Complexity Art". www.idsia.ch. Retrieved 22 October 2017. ^ Schmidhuber, Jürgen (7 June 1998). "Facial beauty and fractal geometry". Cogprint Archive. Archived from the original on 30 November 2012. ^ "Schmidhuber's theory of beauty and curiosity in a German TV show" (in German). Br-online.de. 3 January 2018. Archived from the original on 3 June 2008. ^ Orrell, David (2012). Truth or Beauty: Science and the Quest for Order. New Haven: Yale University Press. ISBN 978-0-300-18661-1. ^ Gleiser, Marcelo (2010). A Tear at the Edge of Creation: A Radical New Vision for Life in an Imperfect Universe. Free Press. ISBN 978-1-4391-0832-1. ^ Akiba, Fuminori (2013). Preface: Natural Computing and Computational Aesthetics. Natural Computing and Beyond. Proceedings in Information and Communications Technology. 6. pp. 117–118. doi:10.1007/978-4-431-54394-7_10. ISBN 978-4-431-54393-0. ^ Datta, R.; Joshi, D.; Li, J.; Wang, J. (2006). "Studying aesthetics in photographic images using a computational approach". Europ. Conf. on Computer Vision. Springer. CiteSeerX 10.1.1.81.5178. ^ Wong, L.-K.; Low, K.-L. (2009). "Saliency-enhanced image aesthetic classification". Int. Conf. on Image Processing. IEEE. ^ Wu, Y.; Bauckhage, C.; Thurau, C. (2010). "The good, the bad, and the ugly: predicting aesthetic image labels". Int. Conf. on Pattern Recognition. IEEE. ^ Faria, J.; Bagley, S.; Rueger, S.; Breckon, T.P. (2013). "Challenges of Finding Aesthetically Pleasing Images" (PDF). Proc. International Workshop on Image and Audio Analysis for Multimedia Interactive Services. IEEE. Retrieved 19 June 2013. ^ "Aesthetic Quality Inference Engine – Instant Impersonal Assessment of Photos". Penn State University. Archived from the original on 9 May 2009. Retrieved 21 June 2009. ^ Manaris, B., Roos, P., Penousal, M., Krehbiel, D., Pellicoro, L. and Romero, J.; A Corpus-Based Hybrid Approach to Music Analysis and Composition; Proceedings of 22nd Conference on Artificial Intelligence (AAAI-07); Vancouver, BC; 839–845 2007. ^ Dubnov, S.; Musical Information Dynamics as Models of Auditory Anticipation; in Machine Audition: Principles, Algorithms and Systems, Ed. W. Weng, IGI Global publication, 2010. ^ Shimura, Arthur P.; Palmer, Stephen E. (2012). Aesthetic Science: Connecting Minds, Brains, and Experience. Oxford University Press. p. 279. ^ Giannini AJ (December 1993). "Tangential symbols: using visual symbolization to teach pharmacological principles of drug addiction to international audiences". Journal of Clinical Pharmacology. 33 (12): 1139–1146. Bibcode:1991JClP...31..928S. doi:10.1002/j.1552-4604.1993.tb03913.x. PMID 7510314. ^ Moshagen, M. & Thielsch, M.T. (2010). Facets of visual aesthetics. In: International Journal of Human-Computer Studies, 68 (10), 689–709. ^ Visual Aesthetics. Interaction-design.org. Retrieved 31 July 2012. ^ Lavie, T. & Tractinsky, N. (2004). Assessing dimensions of perceived visual aesthetics of web sites. International Journal of Human-Computer Studies, 60, 269–298. ^ Laurie, Timothy (2014). "Music Genre As Method". Cultural Studies Review. 20 (2), pp. 283–292. Mario Perniola, 20th Century Aesthetics. Towards A Theory of Feeling, translated by Massimo Verdicchio, London, New Delhi, New York, Sydney: Bloomsbury, 2013, ISBN 978-1-4411-1850-9. Chung-yuan, Chang (1963–1970). Creativity and Taoism, A Study of Chinese Philosophy, Art, and Poetry. New York: Harper Torchbooks. ISBN 978-0-06-131968-6. E.S. Dallas (1866), The Gay Science, 2 volumes, on the aesthetics of poetry. Susan L. Feagin and Patrick Maynard (1997), Aesthetics. Oxford Readers. Greenberg, Clement (1960), "Modernist Painting", The Collected Essays and Criticism 1957–1969, The University of Chicago Press, 1993, 85–92. Kelly, Michael (Editor in Chief) (1998) Encyclopedia of Aesthetics. New York, Oxford, Oxford University Press. 4 vol. pp. xvii–521, pp. 555, pp. 536, pp. 572; 2224 total pages; 100 b/w photos; ISBN 978-0-19-511307-5. Covers philosophical, historical, sociological, and biographical aspects of Art and Aesthetics worldwide. Alexander J. Kent, "Aesthetics: A Lost Cause in Cartographic Theory?" The Cartographic Journal, 42(2) 182–188, 2005. Griselda Pollock, "Does Art Think?" In: Dana Arnold and Margaret Iverson (eds.) Art and Thought. Oxford: Basil Blackwell, 2003. 129–174. ISBN 0-631-22715-6. Wallace Dace (1963). "The Concept of "Rasa" in Sanskrit Dramatic Theory". Educational Theatre Journal. 15 (3): 249–254. doi:10.2307/3204783. JSTOR 3204783. René Daumal (1982). Rasa, or, Knowledge of the self: essays on Indian aesthetics and selected Sanskrit studies. ISBN 978-0-8112-0824-6. Ananda Lal (2004). The Oxford Companion to Indian Theatre. Oxford University Press. ISBN 978-0-19-564446-3. Emmie Te Nijenhuis (1974). Indian Music: History and Structure. BRILL Academic. ISBN 978-90-04-03978-0. Farley P. Richmond; Darius L. Swann; Phillip B. Zarrilli (1993). Indian Theatre: Traditions of Performance. Motilal Banarsidass. ISBN 978-81-208-0981-9. Kapila Vatsyayan (2008). Aesthetic theories and forms in Indian tradition. Munshiram Manoharlal. ISBN 978-81-87586-35-7. OCLC 286469807. "Aesthetics". Internet Encyclopedia of Philosophy.